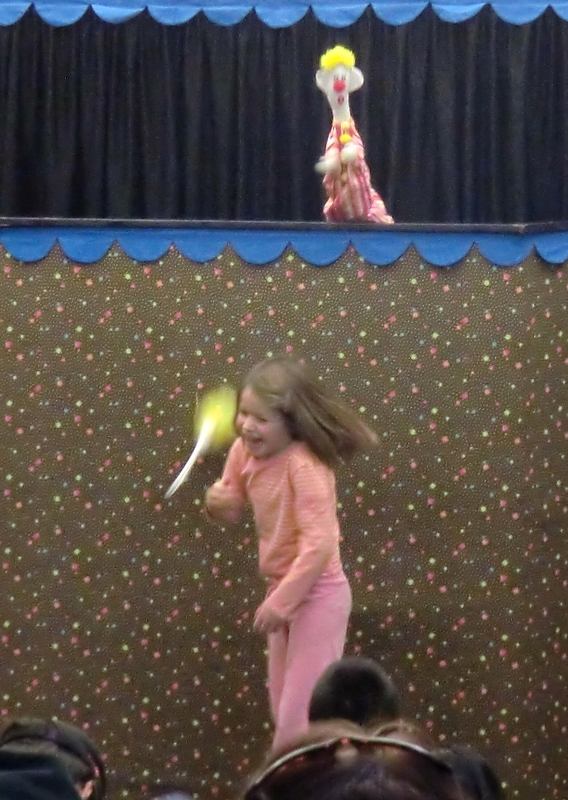 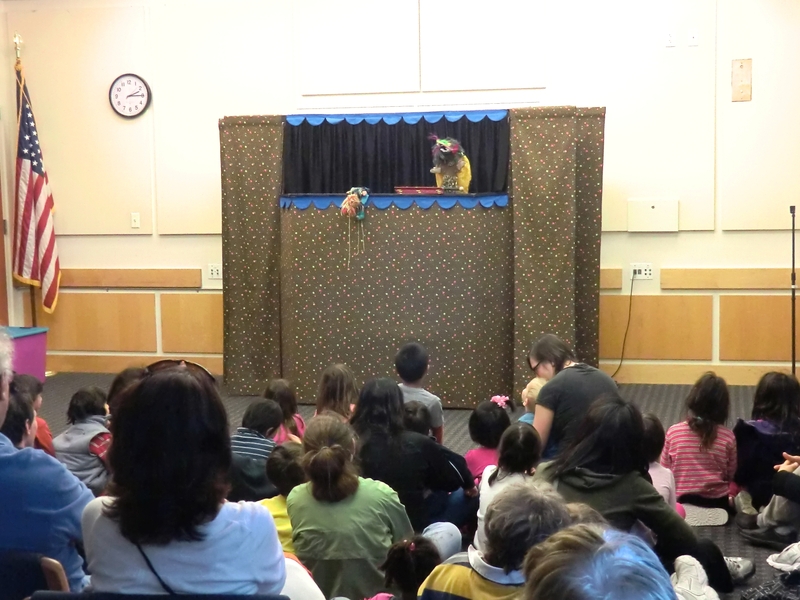 « Puppet Festival: First Show! 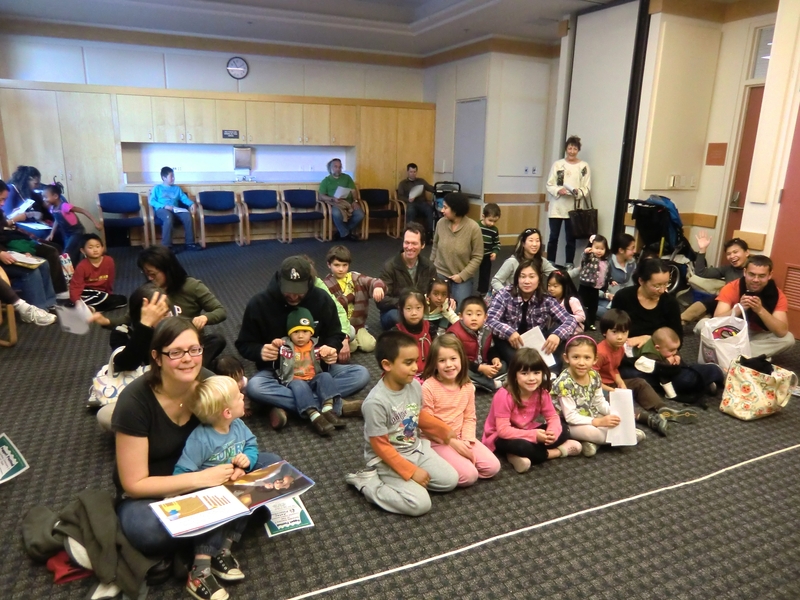 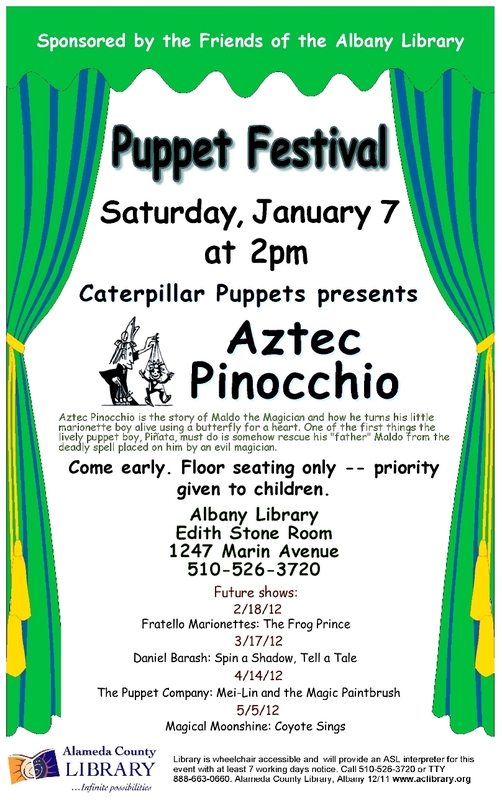 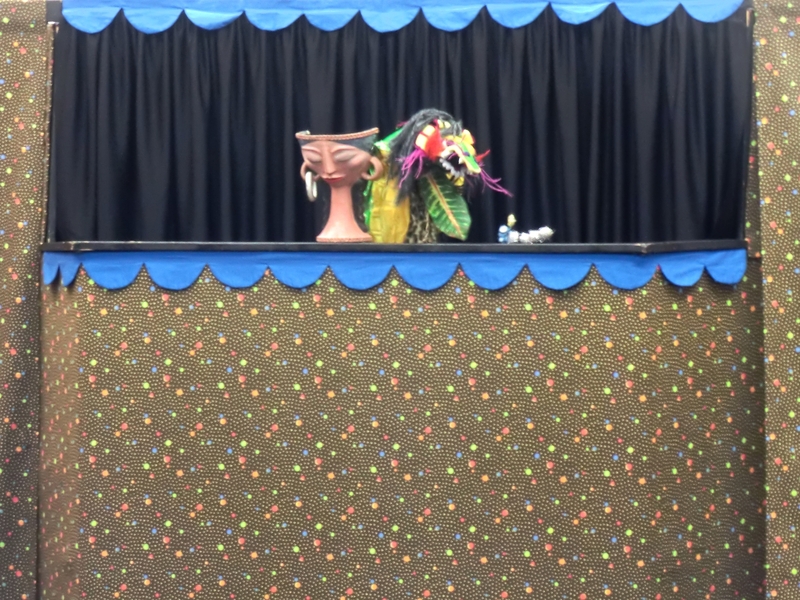 The Albany Library Puppet Festival had its first show: Aztec Pinocchio. 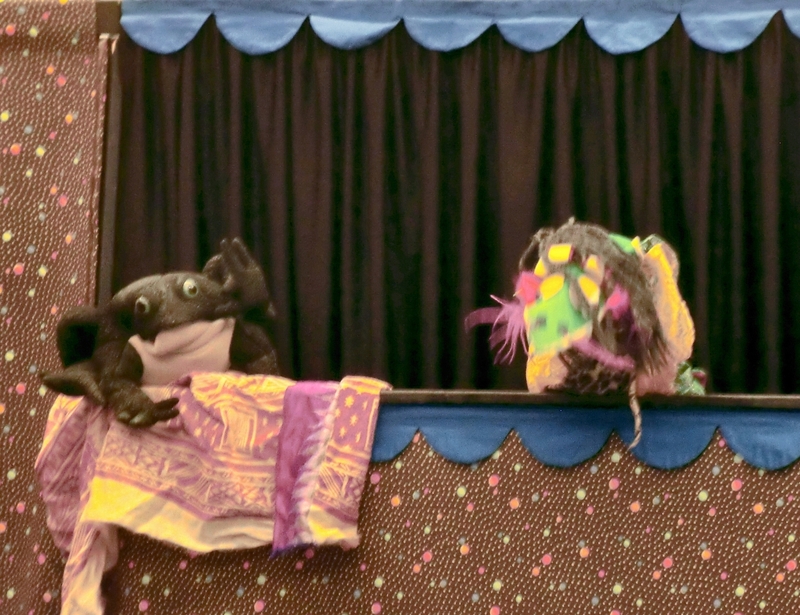 Maldo creates a little boy with a butterfly for a heart and the show flutters to a fantastic finish with a beautiful moral about self-sacrifice and love. 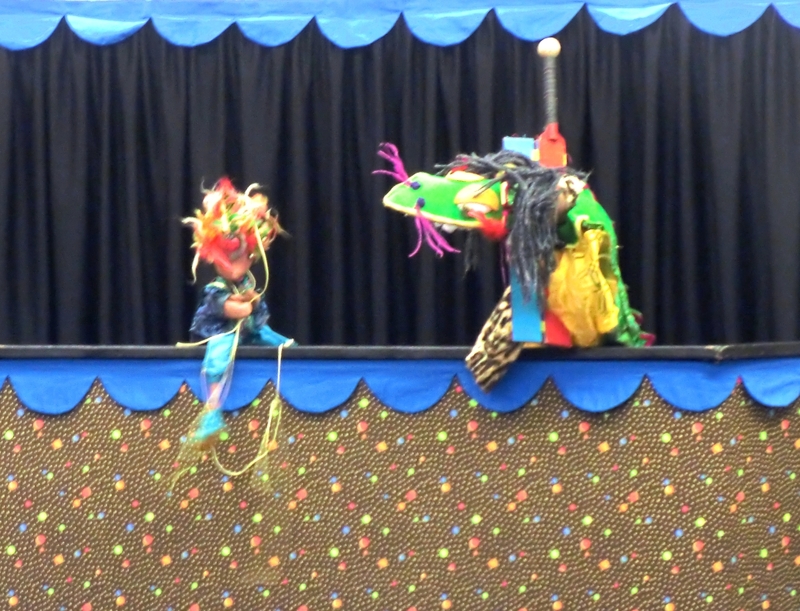 The magical, colorful creatures had plenty of slapstick fun, smacking each other over the head or falling behind stage. 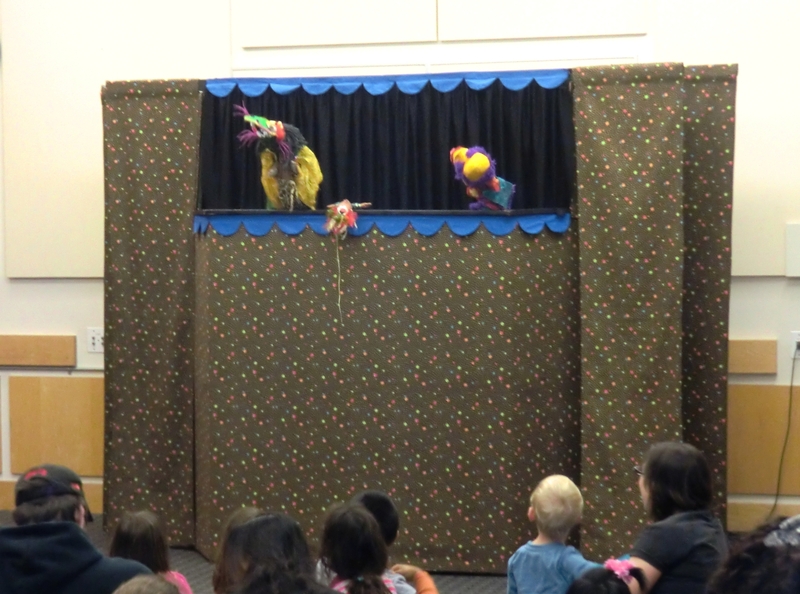 Kids screamed and laughed so we knew it was a good show! 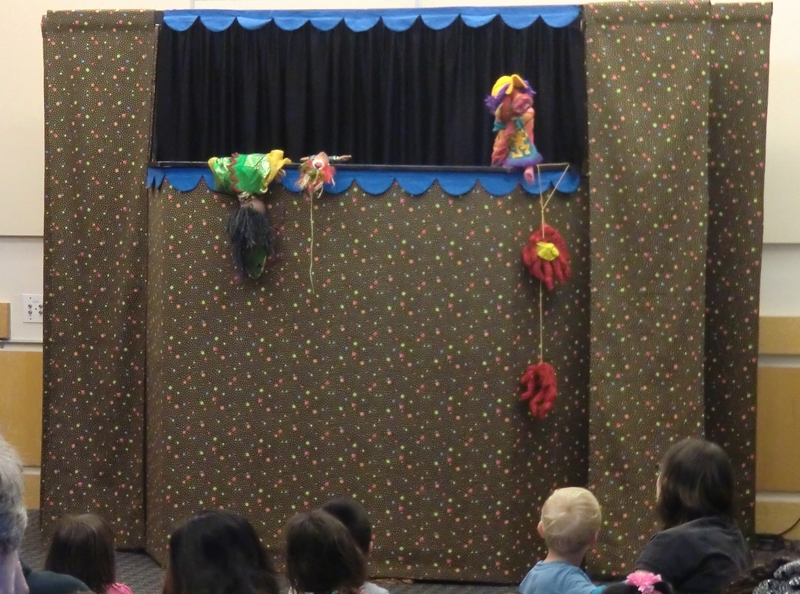 Caterpillar Puppets‘ Joey Leon engaged the audience very nicely, inviting us to shout out Spanish words. 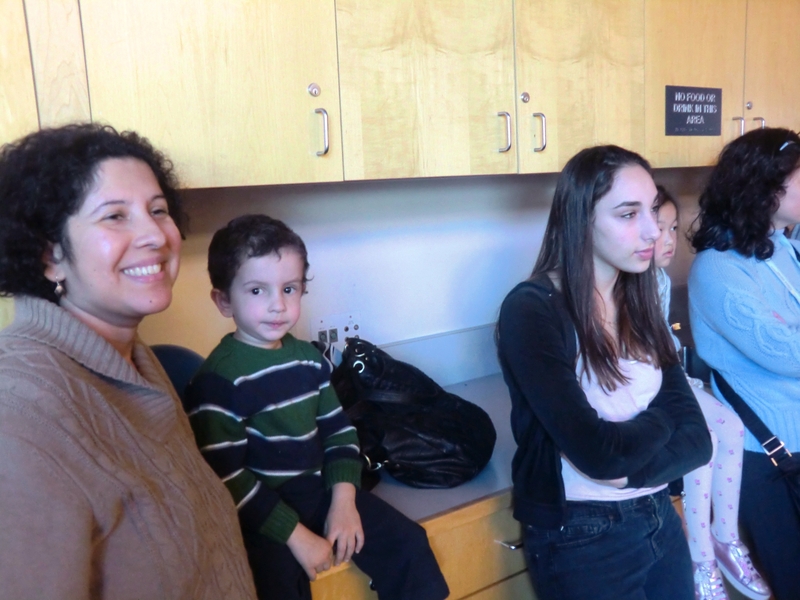 We all left with a tiny mariposa in our hearts.